One of the questions that I often get on Facebook; Twitter and in our Community is: “What Product Is Right for Me?” Yes, I know it can be confusing… especially if you have never used a fat burner or weight- loss supplement before. So below are some questions to help you figure out which product is right for YOU. 1. Have You Ever Used a Fat Burner or a Weight Loss Supplement in the past? If No: Try our original formula! 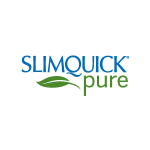 SLIMQUICK Pure Regular Strength is a great place to start if you are a newbie. If Yes: You might want to consider using a stronger version this time around with our SLIMQUICK Pure Extra Strength. 2. Are you sensitive to caffeine or stimulants? If No: Try our original formula! SLIMQUICK Pure Regular Strength to start! If Yes: Go for our SLIMQUICK Pure Caffeine Free. It has all the key ingredients that are found in the original formula but without any added caffeine or stimulants. 3. Are you okay with taking pills/caplets or would you prefer a different method? If you would prefer a different method: SLIMQUICK Pure Mixed Berry and SLIMQUICK Pure Gummies are tasty alternatives to taking caplets. I bought SlimQuick Fat Burner powdered drinks and SlimQuick Clinical Strength 60 caplets, my question is do I take in combination? or is it one or the other? I’m so confused! Hi Melissa. You can take them in combination but just remember that one dosage REPLACES the other. So one day you can take the drinks and one day you can take the pills, or take the drink in the morning and then the pills in the afternoon. Just do not double up. Hope that helps! if my sixteen yr old is overly obese is it safe to just give her just the drink mix and gummies skipping days at a time? We do not recommend Slimquick products for anyone under the age of 18. Hi, Do you know the differences between the extra strength and the regular? It’s best to drink the drink mix while eating or directly after. Do the gummies come in caffine free? Do your slimquick pure mixed berry gummie or slimquick pure gummies come caffine free? The Mixed Berry contains caffeine but the Gummies do not. Hopefully that helps! The SLIMQUICK Pure Gummies do not contain caffeine. If you are on prescription medication you first need to clear with your doctor to err on the side of caution! I had gastric bypass 8 years ago and put a little weight back on. I have used us stuff in the past but want to lose bout 50 more what product u suggest? 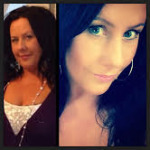 Hi im Amber i was wondering do you have to weight more that 150 to take the 25 pound weight loss challenge? Im 5.4 i weight 151 im trying to lose weight in they belly and arms. Would this work for me? i’v never use diet pills before. Hi Amber, You can take SlimQuick! Please consult a physician before starting any diet program. Is this safe to take while your breastfeeding ? You can’t take SLIMQUICK Pure if you are pregnant or if you are breastfeeding. Does the drink mix work as well as the pills? It sure does! Let us know how it goes! Has there been any tests done against the use of SlimQuick in kidney transplant recipients? Does this diet require you to work out? or can you just take and not work out? Hi Amie, We recommend working out for best results that last long term. So I just bought the drink mix, and essentially you are supposed to take 4 packets a day? So one package of the drink mix only contains 4 days worth of slimquick? As opposed to the gummies and pills contain 10 days worth at the same price? Am I understanding this correctly? Will any of these slimquick pure products effect oral contraceptive? Hi Starr, Please consult your pharmacist to ensure your oral contraceptive will not be disrupted with SLIMQUICK. I was in a hurry andI bought the slimquick pure gummies without reading the label, I am a type 2 diabetic. What ingredient in the product makes it unsafe for a diabetic? The supplement facts are on our website. Please contact your health care practitioner before starting the SLIMQUICK Pure program. If 1 packet of the drink mix replaces a dosage then what do you do with the other 3 packets suggested in the daily intake. For example, I’ll take the gummies in the morning and use a mix in the mid morning or mid after noon. Should I maybe use the packet both morning and after noon or is that too much? You can have the pills or more packets if you want your dosage to be 3. Make sure you follow the instructions on the packages of all our products. Can u take this product if you had a kidney transplant? Is it safe? Where can I get this products in SA? Tray Walmart, CVS or Walgreens! Hi there, I just bought the extra strength pills and the Slimquick Pure Protein, can I take the pills combined with the protein shake? Both SlimQuick Pure Extra Strength pills and the SlimQuick Pure Protein each have the recommended amount of BioPure Green Tea needed to see results so there is no need to combine them. If you’d like you could substitute a dose of SlimQuick Extra Strength Pills with a dose of SlimQuick Pure Protein. Can I take the slim quick powder that you add to liquid once a day? I have been using it that way for a week now. If I need to take it more or your other products let me know. I watch what I eat and exercise 5-6 days a week. I am trying to lose about 20- 50 pounds. I would be happy with 20 but would love to lose 50 by September my birthday. Also once you lose the weight can you get off of it? Or how do u Take it to maintain your weight or can u just go off it? It sounds like you are taking the SLIMQUICK Pure Drink Mix. The drink mix is designed to have 4 packets taken daily and that’s the amount you’d have to take to see full results. Once you have reached your weight loss goal you can stop taking SLIMQUICK and maintain your weight with diet and exercise or continue taking SLIMQUICK if you’d like to lose more weight. You can also lower the amount of SLIQMUICK you’re taking to help maintain your weight. Ok, so I purchased the protein shake and the mixed berries drink mix.Dcan I have the shake in the morning and the drink packet mid morning and another shake with lunch? Or do I use one or the other? Each SLIQMUICK Pure product is designed to be used on it’s own. if you’d like to use both the SLIMQUICK Pure Protein and the SLIMQUICK Pure Drink Mix it’s best to use 1 for your morning serving and 1 for your midday serving. So you could have your protein in the morning and then drink mix midday. We would not recommend using the protein and the drink mix in the morning. I’m 16 and I would like to purchase the SlimQuick Pure Berry Drink Mix, is that ok? No, Slimquick Pure is meant for women 18+ years of age. At 16 your best bet is to consult a doctor, eat a healthy diet and lead an active lifestyle. This blog has great tips on how to eat healthy and exercise so you may find some great tips here but please put off using any weight loss supplements until you are at least 18. I breastfeeding is okay to drink slimquick pure ? So if I’m nursing an older infant who eats table food its not recommended to take slimquick? Great question! If you are breast feeding at all you should not be taking Slimquick as it has not been tested or approved for use while breastfeeding and so we do not know how it will affect your child. I’m wanting to start trying the slimquick program. I was wondering if you had to buy the pills, drinks, gummies and protein together? Or do you just use one or the other? Each product is designed to be used alone, choose whichever appeals to you most. We do recommend speaking to a doctor before starting on any new health regimen or supplement to make sure it’s right for you. I bought the protein and also the drink mix, can I take together? Each Slimquick product is designed to be used alone. If you’d like to use both the protein and the drink mix you can use one for your morning Slimquick serving and the other for your midday serving. Is Slimquick Pure Gluten Free? This is a diet rage for me, I have to eat Gluten Free, I don’t have a choice. For the best answer to this question you’ll need to bring both to a doctor to make sure they’re safe for use together. Each product is designed to be used alone. You can use one product for your morning serving and the other for your midday serving if you like. I’m under 18 and I took 4 slimquick extra strength gummies, and now i have a really really bad headache and it feels like my head has alot of pressure, what should I do? Hello, our products were not made for anyone under 18. We advise you stop taking Slimquick immediately and consult a health care provider. You’re likely be alright but your health is our top priority. 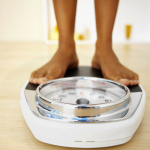 How do I know which product is right to use for maximum weight loss? Our most popular product is our Slimquick Extra Strength Caplets which include extra weight loss goodies to help you on your journey. Of course our products only increase the results of a healthy diet and regular exercise. Be sure to join our 25lb Challenge to track your journey and stay motivated. This is a weird question but instead of using the drink mix with water and having to drink all of that in the morning, could I just pour the powder on my tongue and then chase it with water? This is faster and more efficient for me but will it still work the same? Thank you for your question. The Slimquick drink mix is designed to be mixed with water so I cannot recommend you pour it directly into your mouth. Also staying well hydrated with lots of water is an important part of any healthy lifestyle, we don’t expect you to drink it all in just a few minutes you can take your time and enjoy your beverages. I was wondering if you can take the slimquick protein powder with skim milk instead of water? yes you can, you can also use almond or soy milk. How many pills do you take a day of the caplets? Please consult the packaging of your chosen product. Can I combine the pills with the protein shake if so how would I go about it? Each Slimquick Pure product is designed to be used alone, there is no need to mix products. If you really want to the best way to do it is use one product for your breakfast serving, like a protein shake, and the other for your lunchtime serving (1 serving of caplets). This would mean taking half a days serving of each product, 1 in the morning and 1 in the afternoon. Can I use a antihistamine with slimquick ultra no caffeine? can I take the extra strength pills, gummies, and drink mix in combination together?? Each Slimquick Pure product is designed to be used alone so there is no need to mix products to get better results. If you want to mix-and-match products you can use one for your breakfast dose and another for your lunchtime dose. For example you could have 1-3 extra strength caplets (start with the graduated dosing suggested on the box) with breakfast and then have 1 serving of gummies with lunch. can I still drink a high protein meal replacement shake while using the slimquick pure products? Great question. You may want to check if the meal replacement contains caffeine, if so you shouldn’t consume if while taking a caffinated Slimquick Pure product. A meal replacement drink could help but part of the reason we ask you to eat when taking Slimquick Pure is because a full belly is less likely to be upset by any of our products. Please speak to your doctor about this concern. What would be a safe way to use the power mix & the gummies at the same time if it’s my first time trying them? Each Slimquick Pure product is designed to be used on it’s own and has the needed amounts of BioPure Green Tea to boost weight loss results of a healthy diet and regular exercise. If you do want to use 2 products the easiest and safest way is to use 1 product for your morning Slimquick and another for your midday Slimquick. For example you could start your day with a Slimquick shake and then have 1 serving on gummies at midday. I currently bought some diet pills from gmc but I also have slim quick powderd form is it ok for me to take both at the same time or is that not ok ? We do not advise mixing weight loss products without the approval of your doctor. Combining products, especially from different brands, can put your health at risk. If i buy the gummies and the mixed berry drink mix. How much of each should i take a day and when? All Slimquick Pure products are designed to be used alone. If you’d like you can use one for your morning serving and the other for your midday serving. Can you use the protien powder and pills together? Each Slimquick product is designed to be used alone. Does the powder mix have caffeine in it? If so what other alternatives do you have? Our protein mix is caffeine free our drink mix is not. No Slimquick product aren’t meal replacements they’re supplements that boost the weight loss effects of healthy diet and exercise. We recommend checking with your doctor before starting to take Slimquick products to make sure they’re right for you. Can diabetics use this product? I would like to know if the slimquick protein shake have caffeine in it? And is it OK to mix with almond milk instead of water? Our Protein is caffeine-free and you can mix it with Almond milk instead fo water, you can also use it as part of a healthy smoothie including fruits, seeds, and nut butters. We don’t recommend using other weight loss supplements while taking Slimquick products unless approved by your doctor. Can i take slimquick pure 3x for men if I have a high blood pressure? Due to the caffeine content, it’s best to speak to your doctor before starting to take Slimquick for Men. I am new to all of this stuff with taking supplements. Let me first say that I HATE to take pills. I have the worst time ever just taking something for a headache. I know that weight loss is a long and hard process. Instead of doing it like I have always done it where I would quit cold turkey on eating unhealthy foods and nearly kill myself with exercise, I want to just focus this time on doing one thing at a time like drinking more water. I want something that I can just mix in with a liter of water and so I can drink the water at whatever time and not have to take the drink mix like thirty minutes before I eat. I also have to drink more water than the average person because I work outside during the hot times of the day in Houston Texas where the summer time temp can be 115 degrees so I need something that will taste good and will help me drink more water so I can stay hydrated. What do you recommend? Hey Anon, Our Mixed Berries drink mix sounds perfect for you. You simply drink one serving with breakfast and the second 6 hours later with lunch or a snack. Each packet (serving) is mixed with 16.9 oz of water helping you stay cool and hydrated. No, our products are not meant to be combined. Each is designed to be used with a healthy diet and regular exercise, but they are not designed to be used together. I am taking the extra strength what are some of the side effects? is sweating one of the side effects ? I am sweating profusely. If you wish to take a combination of our SLIMQUICK Pure formula in caplet form with our SLIMQUICK Pure Extra Strength Mixed Berries Drink Mixes, all you have to do is to substitute 1 caplet for 1 packet of the Mixed Berries drinks. Example- The dosage for our caplet formulas are 3 caplets with Breakfast and 3 caplets with Lunch. If you would like to have 1 of the drink mixes in the morning, take 2 caplets with Breakfast and have your Mixed Berries drink mid-morning. You can do the same for the afternoon if you wish, just remember to take only 2 of the caplets with your Lunch. Okay so I’m gonna be on day 2, it says on day 2 of the drink mix to use 2 packets of drink mix, do I use 2 16.9oz cups of water or do I add both mixes to 1 16.9oz cup of water?